Like most OEMs, Motorola has had a really hard time keeping their flagships under wraps. Whether it was the first gen Moto X or the Moto X 2nd Gen, we got glimpses of these devices months before their official unveilings. As we approach the year anniversary of last year’s Moto X 2014, we know it’s just a matter of time before things start popping up around the net. 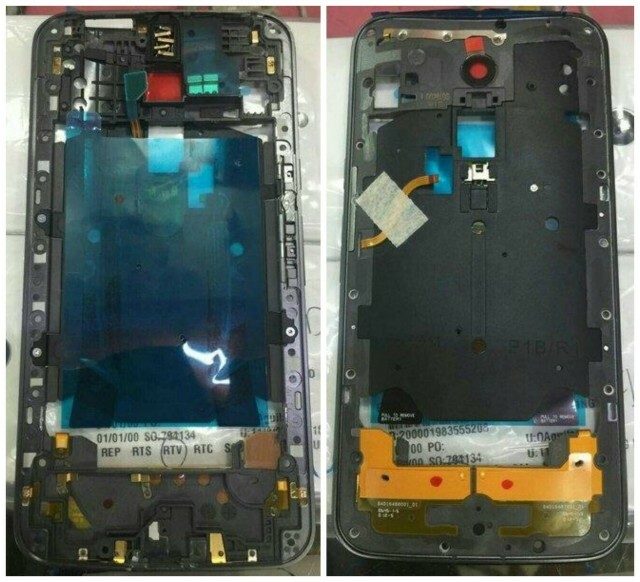 Sure enough, blogs overseas are already churning, revealing a few images of what could be this year’s Motorola Moto X 2015. Chinese site MyDrivers is back once again, showing what they believe are a few images of the next-gen Moto X, well, its chassis anyway. Other than giving us a look at the basic outline of the device, the frame has a peculiar cut out just below the camera hole. It’s rather square in shape, leading some to believe that the phone’s “M” logo will act as a fingerprint scanner. Other than that, not much else was revealed from this leak. Current rumors point to Motorola delivering 2 flagship models — a 5.2-inch and 5.7-inch Moto X — both with quad HD displays. Other specs are more iffy with Motorola’s CMO talking about how the Moto X 3rd Gen will “bring it” in terms of camera quality and even says more manual controls are on the way. With Google ready to embrace USB Type C, we hope this — along with a much larger battery — will be included on the device. Hopefully we’ll learn more about the 3rd Gen Moto X in the coming days/weeks. What would you guys like to see on the phone for you to consider purchasing?